Artist Poesy Liang and anti-counterfeit solution provider LuxTag rejoined forces to launch a specialized online crypto shop on Sunday 11th of November 11:11am (Kuala Lumpur). 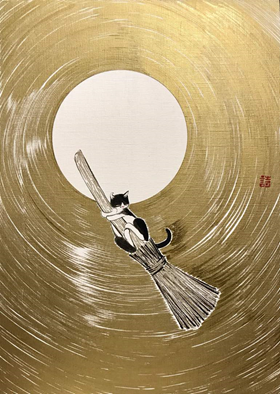 The crypto shop has the purpose of releasing 120 limited-edition prints of “Fly Me To The Moon Harry Putter” by the artist. The website named Crypto to the Moon can be found at this address https://poesy.shop. The launched online shop is unique as it exclusively receives payments in 2 cryptocurrencies Bitcoin and XEM, and all physical art pieces on offer are tagged and registered by LuxTag on the NEM Blockchain. This technology works as an immutable database, and allows customers to track the origins and provenance of the artworks, as well as contributing to their unique history. 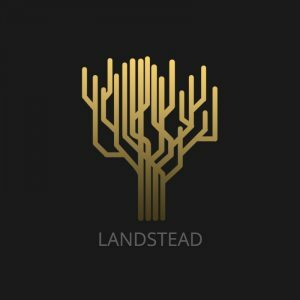 Blockchain is in fact a revolutionary technology, transforming many sectors, one of the most important being the art industry. The art market places high value on recording of history and provenance of art pieces, which blockchain technology can do. November 11th was specially chosen for today’s release. Back in 2014, Poesy Liang Art Gallery popped up in the Kuala Lumpur’s embassy row on November 11th, 11:11:11am. Crypto to the Moon is another one of Poesy’s pop up gallery but this time in our devices. Harry Putter is a tuxedo cat with a half-moustache who uncannily resembles the Rooftop Cats (RTC) that Poesy Liang started to paint in 2011. Today, Harry Putter has a collection of books, music & merchandise to his name. His original art series “Fly Me To The Moon Harry Putter” is widely collected all over the world since 2015. There are 1000 limited editions of “Harry Putter Birthday Book” that celebrates life and he also appears on public murals in many cities. Now we present to you his crypto edition limited to 120 exclusive physical copies, 20 editions of the A2 prints and 100 editions of the A3 prints. 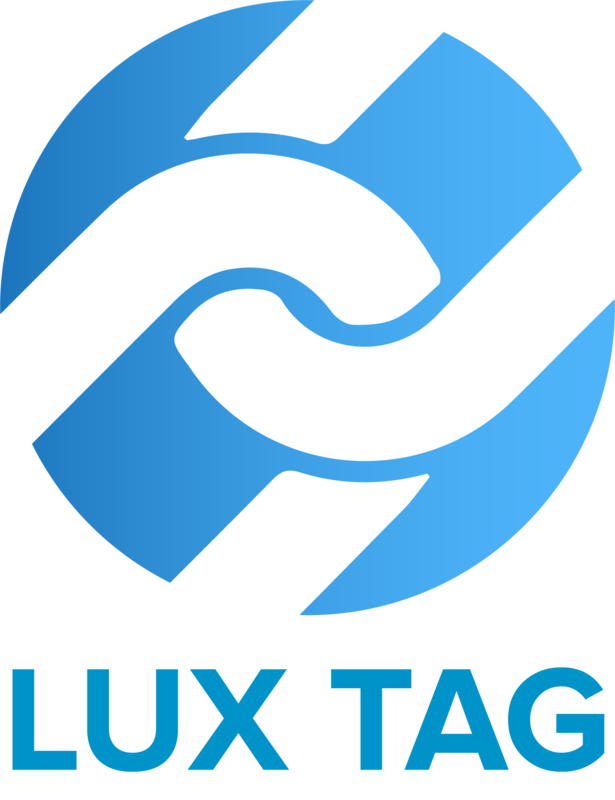 LuxTag is an anti-counterfeit and anti-theft solution provider, utilizing the state of the art blockchain platform called NEM. 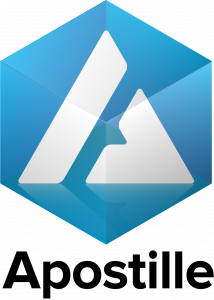 The blockchain-powered service issues digitized certificates of authenticity for tangible products and links these to brands and owners through multi-signature contracts. The LuxTag technology provides additional business intelligence through innovative means of enhanced customer engagement. As of today, the catered industries include Art, Fashion and Apparel, Jewelry, Luxury, and Documents. Poesy Liang is first an artist with a mission to raise compassion, kindness, and empathy through media reform. With a background in the media, design & architecture, she continuously innovate and integrate technology into various art forms to simply deliver her humanitarian messages. Since a very young age, she showed extraordinary creativity in many different genres. She collected a host of skills and dabbled in multiple industries before returning to her original calling in the arts. Her projects continue to deliver social awareness, her early notable movement being Helping Angels, a movement of random kindness using the Facebook group as a tool to mobilize thousands of volunteers worldwide since 2007. Born in Kuala Lumpur to Chinese parents from Ipoh & Taipei, Poesy is active in Asia, North America & Europe with her interdisciplinary portfolios in art & humanity.